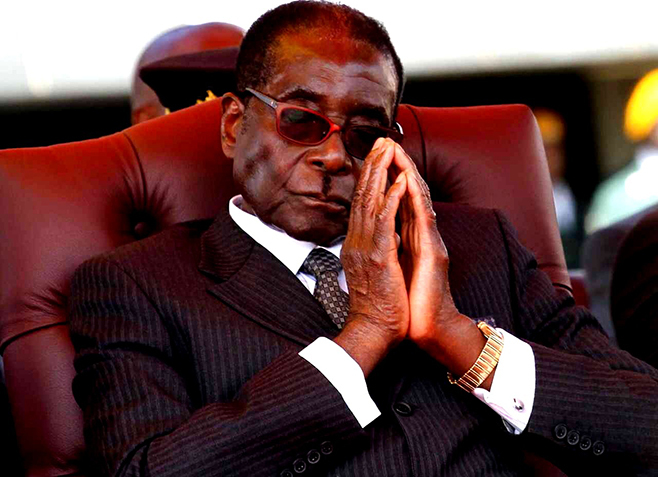 President Mugabe in a file photo. ZIMBABWE – Following the purge of former VP Joice Mujuru and her allies from Zanu-PF last year, only VPs Emmerson Mnangagwa and Phelekezela Mphoko, First Lady Grace Mugabe and Zanu-PF political commissar, Saviour Kasukuwere, appear to be the only internal candidates still standing in line to succeed President Robert Mugabe. However Zanu-PF insiders say that of the four candidates, Mnangagwa was at the moment ahead of the hunting pack and the favourite to take over from Mugabe, with his co deputy, Mphoko, waiting for an ambush. The only problem for Mnangagwa is the opposition that he is getting from the ruling party’s ambitious G40, who appear to enjoy the indulgence of the influential Grace. Sources also say that on the surface Kasukuwere and Jonathan Moyo are pushing for Grace to succeed her husband, but in reality campaigning for themselves, particularly Kasukuwere.